William Henry Bignell was born in Bolton in 1893. He was the youngest son of Francis William and Elizabeth Bignell who were Governor and Matron of Eden’s Orphanage, Astley Bridge, Bolton. He was brother to Dorothy Elizabeth, Francis Felix (Frank) and Helen May Bignell. 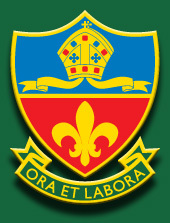 All three attended Bolton Church Institute School. William himself attended sometime between 1902 and 1908. William’s battalion (2nd/6th Warwickshire Regiment) was part of the 61st Division. After their training on Salisbury Plain, King George V inspected the Division 5 May 1916. The Division moved to France later in May and went into trenches in June. In the early evening of Wednesday 19 July 1916, near the village of Fromelles, in northern France, two divisions of Australian and British infantry attacked a 4000 yard section of the German frontline centred on a notorious strongpoint called the ‘Sugar Loaf’. Advancing over unfavourable ground, in clear view of resolute and expectant defenders, the attackers suffered terrible casualties in a matter of minutes. The action turned into a bloody catastrophe. William was one of 400 men of his regiment killed and has no known grave. It is possible that he may be one of the men discovered in mass graves in 2008. His name appears on the War Memorial at St Paul's Church, Astley Bridge, Bolton. William's brother, Francis Felix Bignell, served with the Duke of Lancaster's Own Yeomanry and survived the War. Pte. WM. 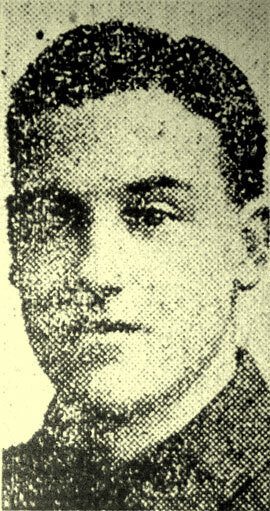 H. BIGNELL, aged 22, and younger son of Mr. F.W. Bignell, governor of Eden’s Orphanage, was seen to be badly wounded on July 19th, the date of his death. Pursuing an agricultural career, he was a Harris Institute student for four years, and at Kilmarnock Dairy School one year. Fully qualified for the work he had taken up enthusiastically, Bignell entered the service of Mr. Jennings, proprietor of the extensive Park Farm, Pulborough, and it was from there that he joined the Royal Sussex Regt., in November 1914. He went up to the front about three months ago, and was attached to the Warwicks when he met his death. Though educated chiefly in the South, deceased was a scholar at the Church Institute for a short period.